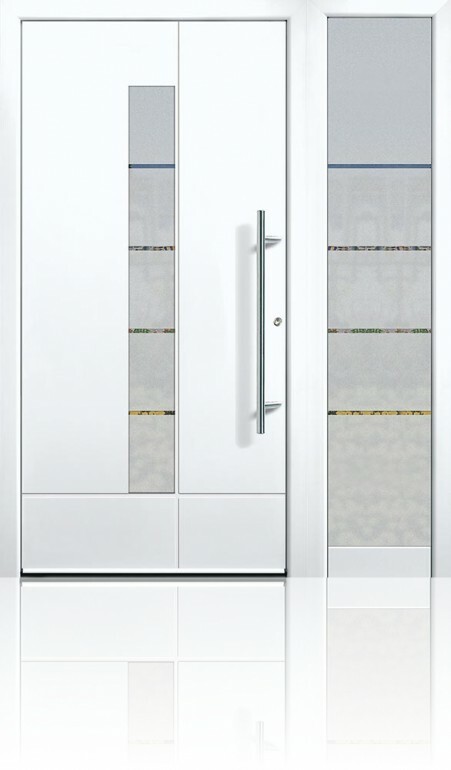 Groke 12170 is an understated contemporary door with high-tech credentials, perfect for exclusive modern homes. Groke 12170 is designed and manufactured in Germany. 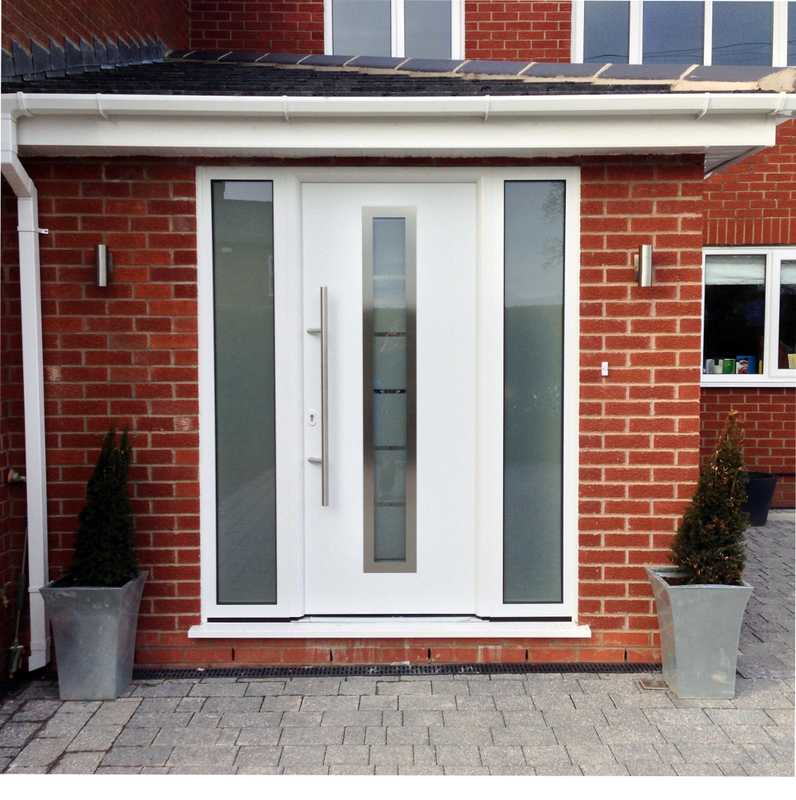 Every Groke aluminium front door is purpose made, there is no pre-built stock and no standard sizes. This ‘custom built’ process means that the range of options is vast allowing you to specify a door that reflects you and also your home. Firstly, the Groke 12170 is available is three versions. There is the 34mm thick panel, the 44mm thick panel and the 94mm thick panel. All three versions are built around the same hefty 90mm extrusion. The 34mm panel sits within this. Lastly, the 44mm panel has what is called a single overlay, the outer skin of the panel overlaps the extrusion creating a flush look on the outside. 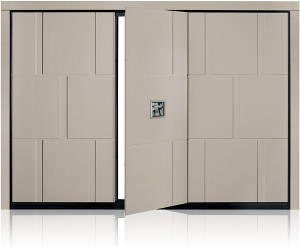 The 94mm panel has a double overlay where the structural extrusion of the door is hidden from both inside and outside. It’s no surprise that as the panels get thicker the insulation values improve. See the specification tab below for U values. Standard security on Groke 12170 is very good but with so many exciting features to choose from our customers nearly always upgrade. One of our favourite features is the GU-Security self-locking system. With this feature as soon as you close the door the shoot bolts automatically engage without the use of your key. Another bestselling Groke product option is the biometric finger print reader. This clever feature gives you keyless entry. Unlike many manufacturers the reader is not an add-on that comes in a box with the door. It is neatly integrated into the door leaf for maximum convenience and aesthetics. This door is certified Burglar Resistance Class 2. This is one of the areas where Groke really come into their own. Side and transom elements are not bolted on but rather made as part of the frame. From an aesthetic point of view this makes the entire assembly look totally seamless and the structure more solid. The sandblasted pattern in the glazing will match perfectly with the glazing in the leaf. An aluminium front door is a significant investment and you’ll want to make your Groke 12170 your own. 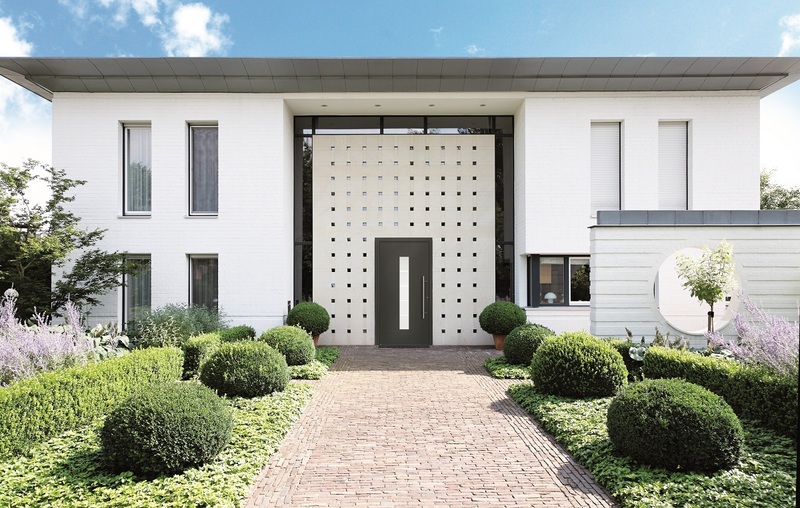 You are able to choose the colour of all elements of the door including the internal and external face of the frame and the internal and external faces of the door leaf. There are numerous glazing options as well as custom sandblasting – this can work well with the house name or number. It is even possible to change a design aspect of the door! Get a quote today for the Groke 12170. We offer our installation service for customers throughout the North West of England. We can also supply only anywhere in the UK. Finally, we have a Groke aluminium front door on display in our Lancashire showroom for you to see and try. Give us a call.